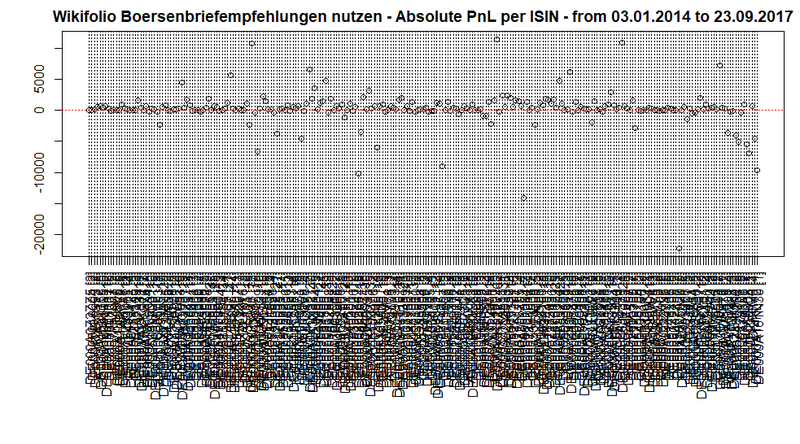 HBecker's wikifolio is called "Börsenbriefempfehlungen nutzen", which means "use recommendations from market newsletters". However, HBecker in no way blindly follows these recommendations :). Rather, he anticipates how a recommendation may influence the stock price or estimates which effect it has already taken (e.g. a breakthrough of a support or resistance level). HBecker also emphasizes that a good knowledge of companies fundamentals is essential. Like Einstein, he mostly trades with small caps, thus his strategy is unfortunately also non-scalable. 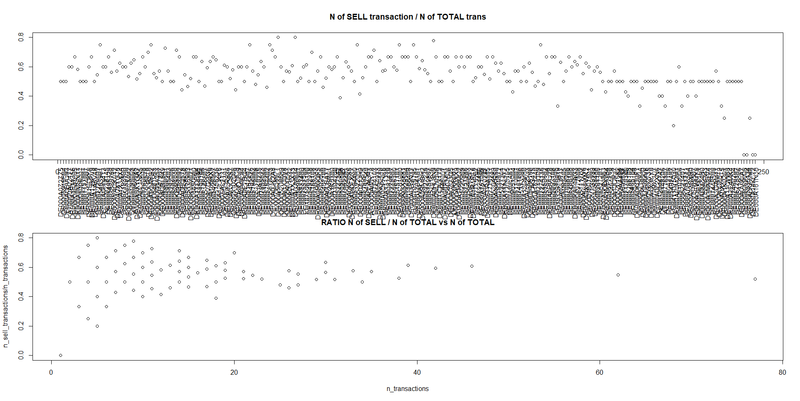 Still for a retail trader there is more than enough liquidity. We said that, formally, HBecker is the Number 2 since Einstein has even higher absolute return. However, many [risk-averse] investors would prefer HBecker on the risk-adjusted basis. HBecker's drawdown is smaller and his equity curve is smoother (note how close it is approximated by the exponential fit). 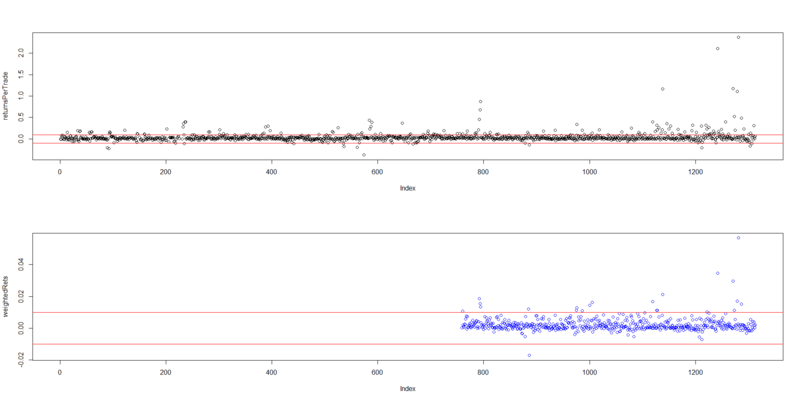 Further, his hit rate is extremely high: 978 / 1289 = 75.87% (for comparison: Einstein had "merely" 56.77%). Also the expected value of the positive returns is significantly higher than that of the negative returns. The returns (both per trade per se and weighted w.r.t. portfolio value) are also time homogeneous (unfortunately Wikifolio forgets some weights, so the second time series is shorter than the first). The contribution of the assets to HBecker's profit is more or less homogeneous as well: as you readily see (click on the image to download a scalable chart in .pdf) some stocks did better, some worse but (up to some outliers in both directions) all of them are comparable. Finally, his sell2total ratio is about 0.5, which means that on average he commits one buy for each sell. This (together with his extremely high hit ratio) speaks for the fact, that he mostly trades the [almost] sure opportunities (and not the opportunities by which the odds are just slightly in his favor). To sum up: HBecker is distinguished trader and yet another reason to keep the mouth shut for those, who affirm that nobody can beat the market! (Note that it is still correct that the absolute majority of both retail and institutional investors cannot beat the market). The pursuit of profit through speculative activities in the short term is a wrong behavior with reference to religious morality. It’s a demonstration of sense of responsibility to take into consideraton the above, at least by publishing this comment so that those who read this practice can make their own personal reflections. I completely agree, with the above comment. Though the article has been very well written, returns are not every thing. You need to have a risk mitigating strategy along with it to minimise the chance of losing money. I tried ways2wealth.com which is a non-profit organisation and lets user design portfolio for free. I learnt that though returns is always one is looking for, but in case of sudden downturn, a person can lose his wealth. Therefore, risk assessment has to be correct which I guess website like wikifolio doesn’t do. Yes, risk assessment (and management) is as important as returns (without the latter it is possible to made losses systematically even by a positive expected return). But we favour HBecker both for excellent return and very small drawdown (by the way, it is significantly slower than by passive index investors). 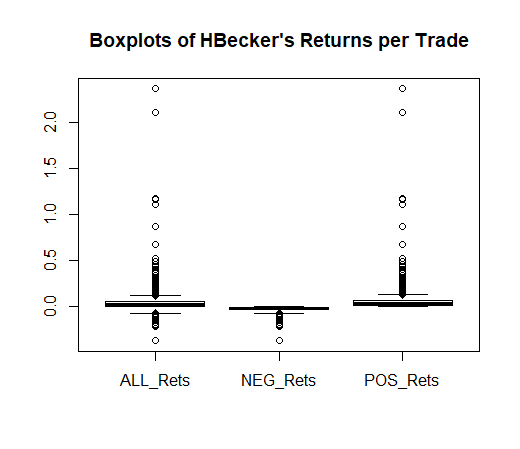 Recall: many [risk-averse] investors would prefer HBecker on the risk-adjusted basis. And yes, wikifolio does not provide any risk management tools. But neither ways2wealth.com helps to handle risks comprehensively, what it offers is better than nothing but it is merely impossible to make an adequate risk profiling with a couple of clicks.